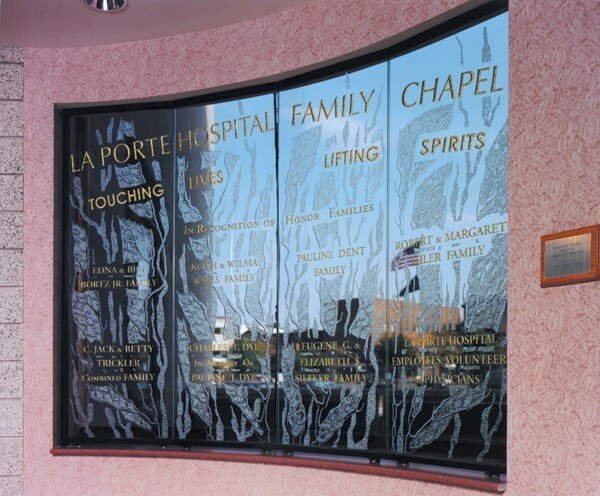 The La Porte Hospital Foundation in La Porte, Indiana, wished to honor the eight families whose donations made the construction of the hospital’s new chapel possible. 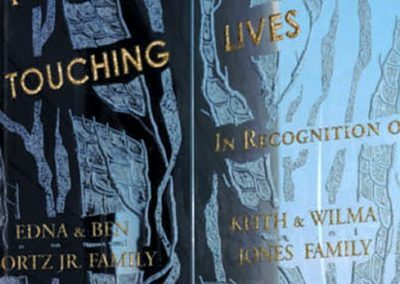 Conrad Schmitt Studios was commissioned to create a Leptat® (etched) glass Recognition Wall for the rotunda at the entry to the chapel. Unlike the evenly frosted areas obtained by traditional acid-etching methods, the process involved in the production of Leptat® glass results in a deeply etched, crystalline surface of varied textures. The Leptat® glass Recognition Wall depicts stylized coral and consists of four, 2′ x 6′ glass panels arranged in a slight arc. 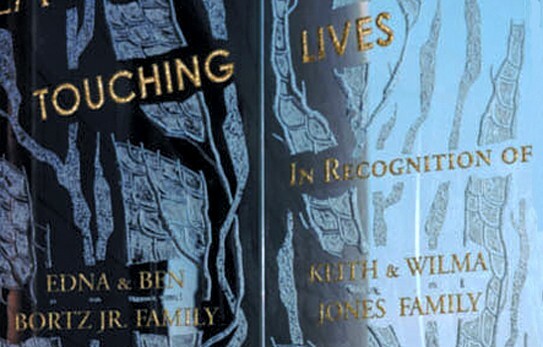 The etched names of the eight donor families, as well as the inscription, “Touching Lives, Lifting Spirits,” are double-gilded with 23 karat gold.